Graphic novel? Marissa Meyer? Iko? Ahhhhhhhhh!!!!!!!!!!!!!!!!!!!! 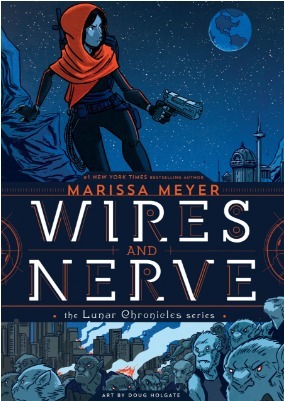 In her first graphic novel, #1 New York Times and USA Today bestseller Marissa Meyer follows Iko, the beloved android from the Lunar Chronicles, on a dangerous and romantic new adventure -- with a little help from Cinder and the Lunar team. YES! I can't wait for this one either. YESSSSSSSSSS! Cannot wait to read this one! !